Although there are several significant tributaries to the lower Deschutes River, they appear to have little effect on water quality (the exception being turbidity from White River sediments). Therefore, we have determined that the primary driver of water quality in the lower river is water discharged from the Pelton-Round Butte Dam Complex. 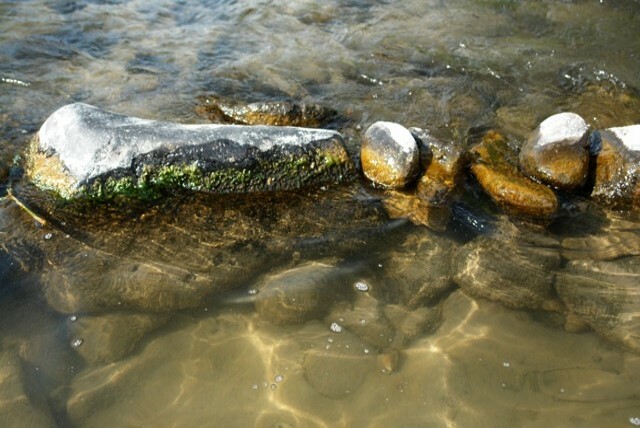 There are multiple indicators of high levels of algae activity. Evidence of this starts as high up in the lower river as we could sample (which was just below the Pelton Reregulation Dam). 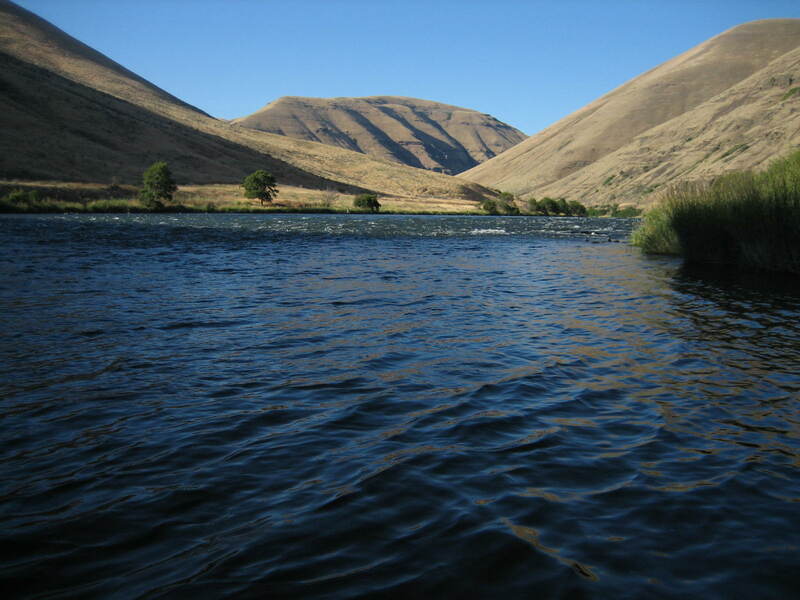 The pH of lower Deschutes River water violates Deschutes Basin standards established by the Oregon Department of Environmental Quality. This is in no small part due to the high levels of algae activity, which results in CO2 being taken up for photosynthesis. CO2 combines with water to make carbonic acid, so lower levels of CO2 result in water being more alkaline. Chlorophyll-a levels of periphyton algae (algae growing on the stream bottom) exceeded the level established to determine if algae is at or above nuisance levels. This work would not have been possible if not for the generosity of our donors, and the support of the Oregon Wildlife Foundation, Flyfishers Club of Oregon, Oregon Department of Environmental Quality, as well as other individuals and organizations whom we’ve listed on our website. Nuisance algae in the lower Deschutes River. Photo by Greg McMillan. Water quality monitoring equipment in the mobile laboratory. Photo by Greg McMillan. Here at the DRA, our audit firm, McDonald-Jacobs, performed a review of our finances following our first full year of operation. We did this for several reasons. 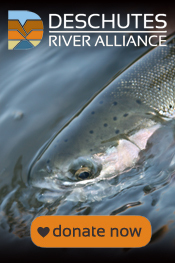 First, it is important to our board, our donors, and our constituents that we operate Deschutes River Alliance according to the highest financial standards as well as observing all laws and regulations governing nonprofit organizations. Second, as a new organization our board wanted to ensure that we have done everything necessary to create a fiscally sound and responsible organization that will have the financial strength to continue performance of our mission. Third, we want our donors to know how their money is being used. We are taking the unusual step of posting the financial and organizational review on our website. You can find it there under our “reports” tab. We believe we owe not just a debt of thanks and gratitude to our donors, but we also owe it to you to responsibly use your donations. We don’t want to just ask you to trust us with your donations, we want to prove we are using those donations responsibly. And we hope you’ll continue to support us.